Schools will be breaking up for the summer holidays soon – are you having lots of ‘can I have my ears pierced’ requests? 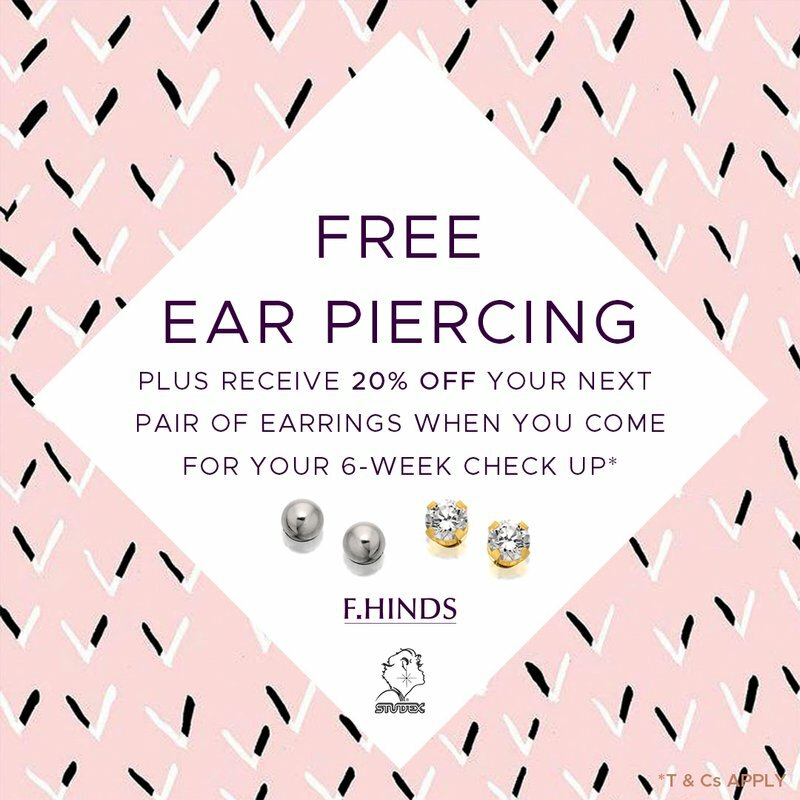 Now would be the perfect time – just visit any of jewellers F.Hinds’ local stores for FREE EAR PIERCING. The only cost is the first studs selected from our extensive range (from £11.99), and you’ll also get 20% off the next pair of earrings when you visit for that important six-week check-up. Drop in or contact your local store, full details are here www.fhinds.co.uk/store-locator or send us a Facebook message to enquire.